Dress: Who What Wear. Shoes: Prabal Gurung. Bag: JCrew. Sunnies: Cole Haan. 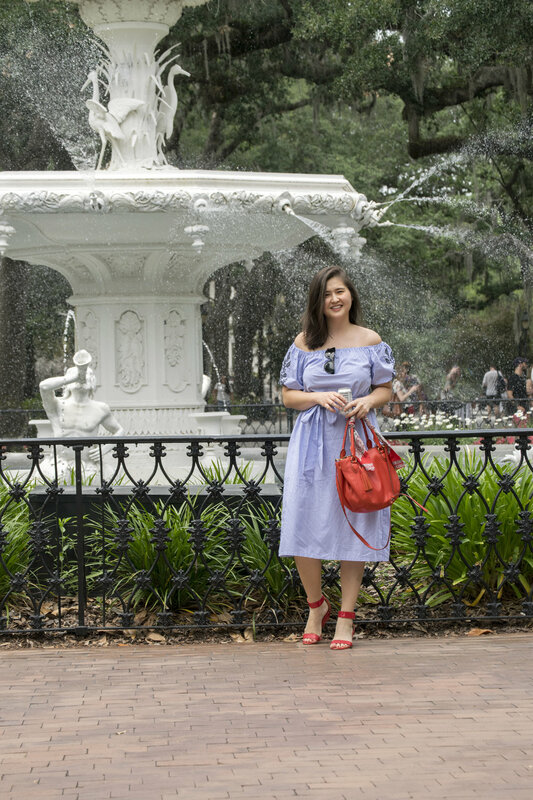 Arriving from chilly NYC to humid and warm Savannah for a bachelorette weekend (2nd one in out of a group of 6), I decided to set out and explore the city by myself for couple of hours before the rest of the party got in. 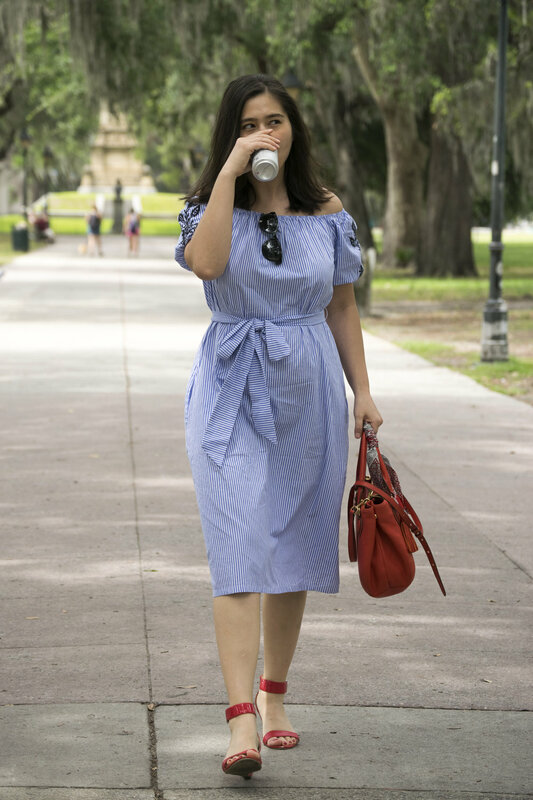 Deciding to take a stroll at Forsyth Park in my Who What Wear dress, which was more than apt for the weather down there. 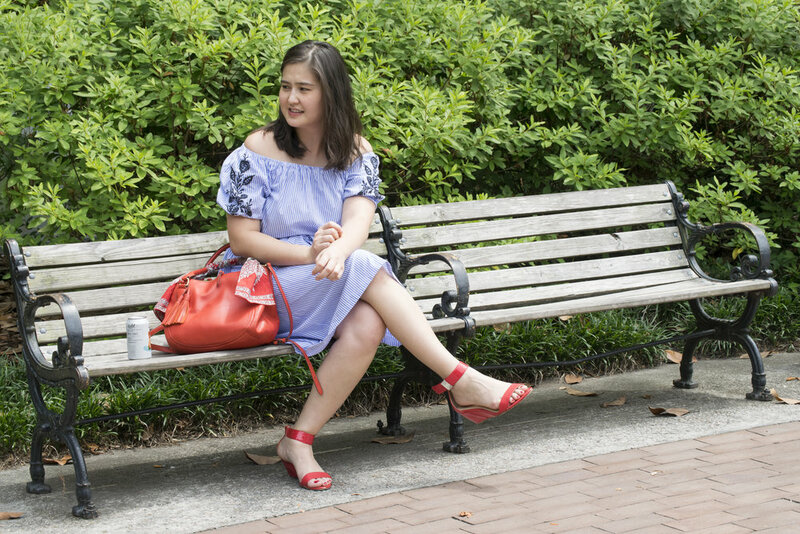 Despite the fact that we were in a "big" city, Savannah was so peaceful and alluring, making the start of the girls' weekend ever so exciting.